If you’re familiar with my blog, you know about my long-standing feud with mini burgers masquerading as sliders. 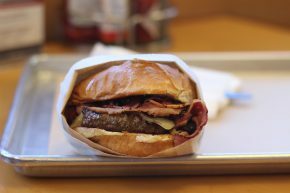 You also know that real sliders require a very specific cooking style involving a griddle, onions and steamed buns. And finally, you know that Detroit has some of the best. 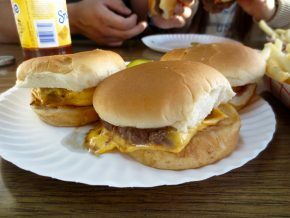 Yet, sliders are not exclusive to Detroit, and New Jersey is known as a bastion of such burgers. 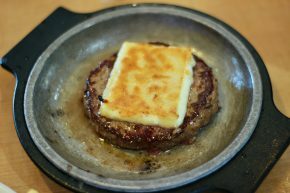 Perhaps no location is more famous than White Mana in Jersey City, which has been making the things since 1939 (although not at the Jersey City location because the slider making began in the New York World’s Fair). Almost the length of my arm, and thicker. 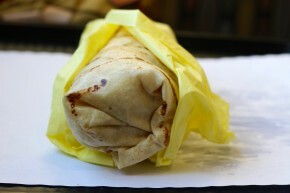 In Los Angeles, there are supposedly really only two breakfast burritos. 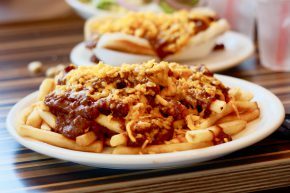 One is at the Corner Cottage in Burbank and the other is at either of the two Lucky Boy locations in Pasadena. I visited the newer location on Walnut Street and vowed to take down the “Famous” burrito (it’s literally the name of the burrito). 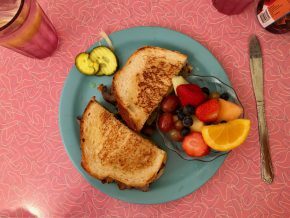 There are places in this world that can be relied upon to provide food at any time of day. 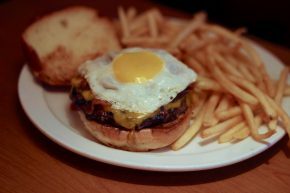 Such places are perfect for people looking for a late-night snack or an early bite (or both depending on the night and time), but I went to Steak ‘n Egg in Washington, DC for the latter. 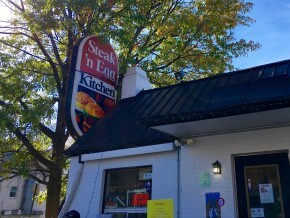 It was a beautiful Fall day, so we sat outside and got ourselves ready for some delicious diner food.